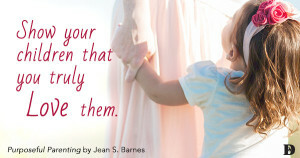 Welcome to the world of Purposeful Parenting with educational psychologist Jean S Barnes. This is an immensely practical book born from fifty years of experience as a teacher, counselor and school psychologist. 6. Persevere – teaching your child to learn from failure and never give up.